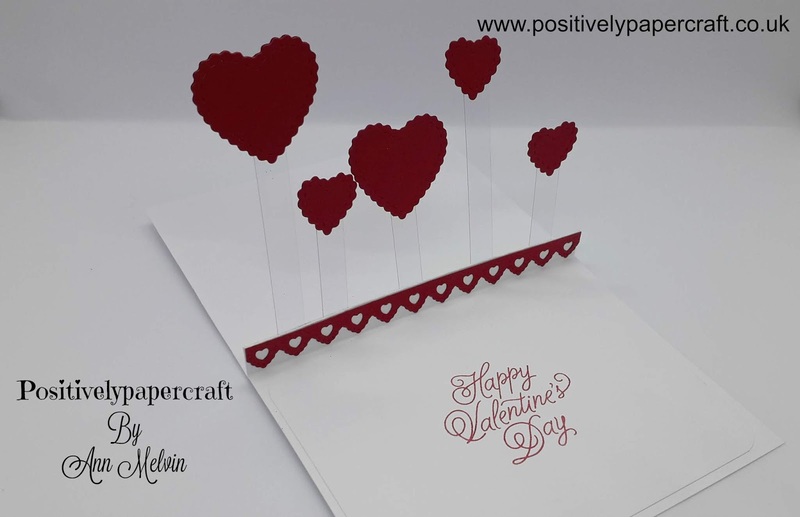 I have made this beautiful & really fun pop-up style Valentines card. I love the way it turned out & its really quite simple to make. The little heart die cuts are just glued onto small strips of Acetate & thats how they pop -up. You could also make this type of card for Birthdays and have the pop-ups as Balloons or maybe little cakes etc. 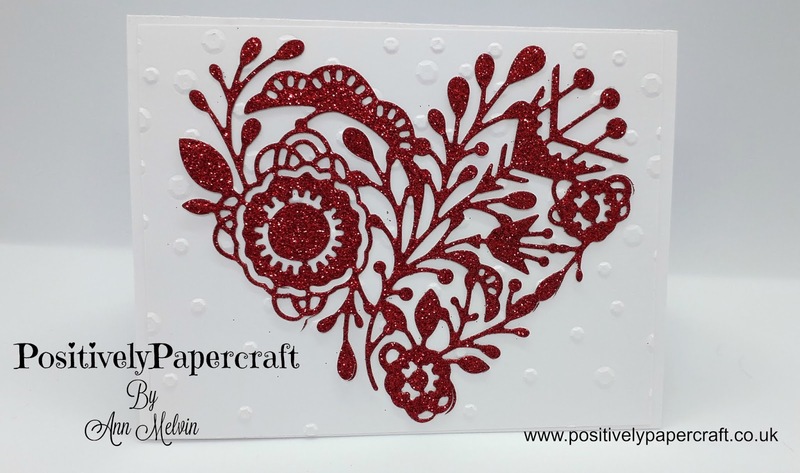 For the front of my card i chose to decorate it with this stunning heart die cut. I cut it from red glitter paper & it looks so pretty. The Die is from the Xcut Brand. I have had it quite a while so i have know idea if its still available. Of course you can put whatever you like on the front. I am sure being a crafter you have lots & lots of Dies! I also used an Embossing Folder for the front of my card just to give it a bit more texture. WHITE CARD BASE MEASURING 10 1/2" X 5 1/2"
SCORE THE LONG SIDE @ 4 1/4", 4 3/4", 5 1/4", 5 3/4" & 6 1/4" FOLD THESE SCORE LINES IN A VALLEY, MOUNTAIN & SO ON. WHITE CARD FOR THE FRONT & INSIDE MEASURES 5 1/8" X 4 1/8"
6 X ACETATE PIECES CUT TO 1/2" WIDE & VARYING LENGTHS BETWEEN 2 1/2" & 3 1/2"
Please check out the Youtube hop. You will be able to find all the links to the other Ladies videos in the video description. I will be back again very soon with some more projects. I watched the video on this a few days ago.. but came over to the blog to print the dimensions out so I can give it a try! I absolutely LOVE this beautiful card!